Last week I was lucky enough to spend the week at the House gite in the stunning forest of Fontainebleau. For those who don't know about Font, it is the home of bouldering and of course the birthplace of the Font grading system and climbing circuits. 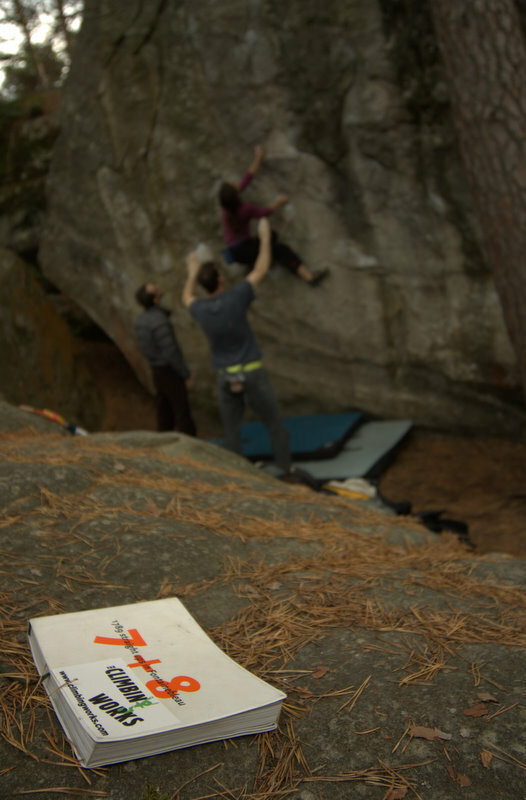 Anyone that is frustrated at a Font 5+ in The Climbing Works should go try some of the 5+'s on the blue circuit at Rocher Guichot, Maunoury or any of the other famous blue circuits that define the forest. Jug hauls they are not. Returning back to the Works there is alot to report on. Last week a new Purple circuit of 37 blocs between Font 6a-6c went up. This week we're having a bit of a rest and then next week, the big one. The start of the Evolv Winter Bouldering League is nearly upon us meaning a Friday night of new problems and challenging yourself on a new set of Berghaus Competition Wall blocs. Read more about the 1st round on the website here. In the shop we've had a Winter delivery from Marmot and E9. The E9 stuff is very exclusive, being only available in around half a dozen stores in the UK so keep an eye out on the website if you're a non-local. Once we've sold out, that it! It is gone. No possibility of re-ordering it. With just over a month to our 5th birthday, it is also time to let you know that our big birthday party will be on Friday 9th December in Sheffield. We will release more details in the next week, including how you can get your FREE ticket to this massive climbing party.